Thornton Industries, Inc. provides CNC milling of parts, from small to 45,000 lbs. Thornton Industries, Inc. is a manufacturing company in Albion, PA that specializes in the machining of metal components up to 45,000 lbs. in weight. Thornton produces parts and assemblies, as well as manufactures and repairs components for the forging industry. 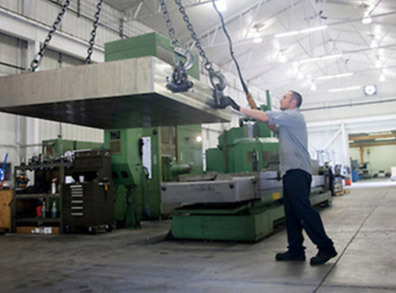 Our 30,000 square foot facility is fully equipped to CNC mill, bore, grind, and CNC turn parts as well as fabricate, weld, and assemble machines. Our portable, in-house CMM capability ensures accuracy and consistency.